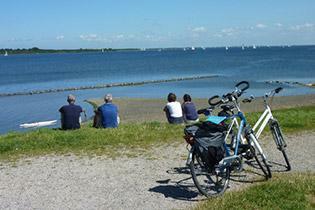 Discover the province of Zeeland by bicycle from Duin Hotel Burgh Haamstede. 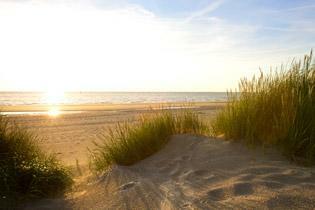 Duin Hotel is in a blissfully peaceful location in the dunes, a 30 minute walk from the beach. If what you are looking for is peace, then look no further. The province of Zeeland on the south-western coast of the Netherlands is known for its wind, water, sunshine and solitude. Your home base is on the lovely island of Schouwen-Duiveland. A stupendous beach and windswept dunes dominate the western point whilst the rest of the island is rural with scattered villages and a delightful historical town called Zierikzee, a real treasure. If you are interested in the Netherlands’ continuing battle against the water, you may like to know that our bike route takes you right across two of the sea barriers that make up the world-famous Delta Works.